There's been lots of talk this week about growing tensions within the British royal camp. And one of the events that led to an apparent royal rift? Well a wedding, of course. 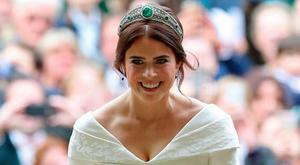 When Britain's Princess Eugenie glided onto the steps of St George's chapel for her wedding to Jack Brooksbank, she looked the epitome of elegance and sophistication. 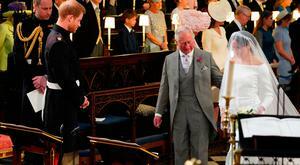 Early last Friday afternoon, when Princess Eugenie and new husband Jack Brooksbank emerged from St George's Chapel, Windsor Castle, they were met by a cheering crowd. The wedding flowers in St George’s Chapel will reflect the “rich and vibrant tones of autumn”, Buckingham Palace has revealed. 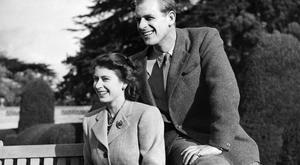 Royal wedding part two is on the way tomorrow and with it, comes a reminder of an old scandal. The daughter of Robbie Williams will reportedly be a flower girl at the wedding of British Princess Eugenie and Jack Brooksbank. Meghan Markle's ex husband Trevor Engelson has wed his fiancé, dietician Tracey Kurland after a four month long engagement, according to reports. British Princess Eugenie will soon wed fiance Jack Brooksbank – the latest grandchild of Queen Elizabeth II to marry their long-term partner. There was, allegedly, some consternation when the BBC turned down the opportunity to broadcast British Princess Eugenie’s impending nuptials. China collection marking Princess Eugenie’s wedding unveiled - but how does it compare to Harry and Meghan's? Fans of the Duke and Duchess of Sussex hoping to relive their May nuptials will soon be able to see their famous wedding outfits up close. Hold on to your fascinator, there's another royal wedding to go yet! The Duke and Duchess of Sussex are reportedly returning €8million-worth of wedding gifts. The Queen of England is just like any other proud grandmother. Britain's Duke and Duchess of Sussex will reportedly honeymoon in Canada. Meghan, Duchess of Sussex, left wedding guests “misty-eyed” when she read out a poem dedicated to her new husband Prince Harry. 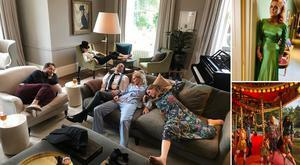 Britain's Prince Harry and his new bride Meghan Markle have release three official wedding photos from their day.